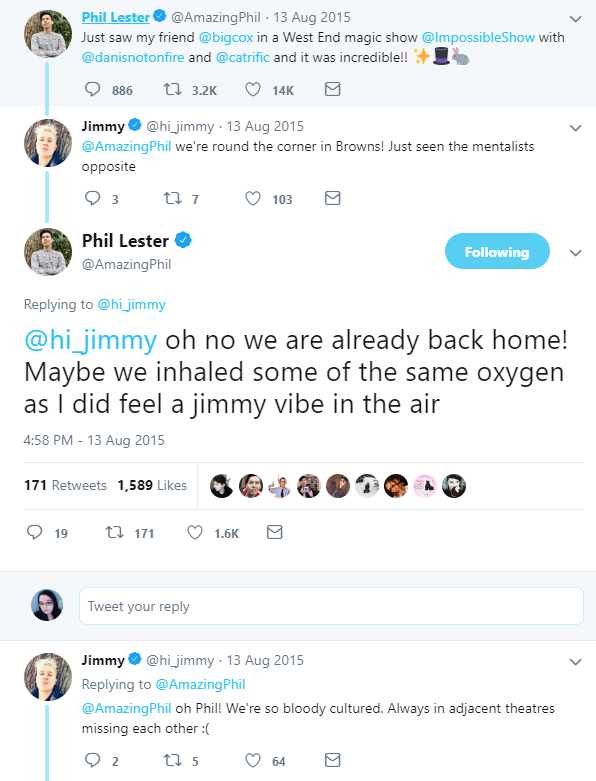 Jimmy Hill [youtube] [twitter] [instagram] is a youtuber who started making videos around the same time as Phil did while also attending York University, in the year below Phil. 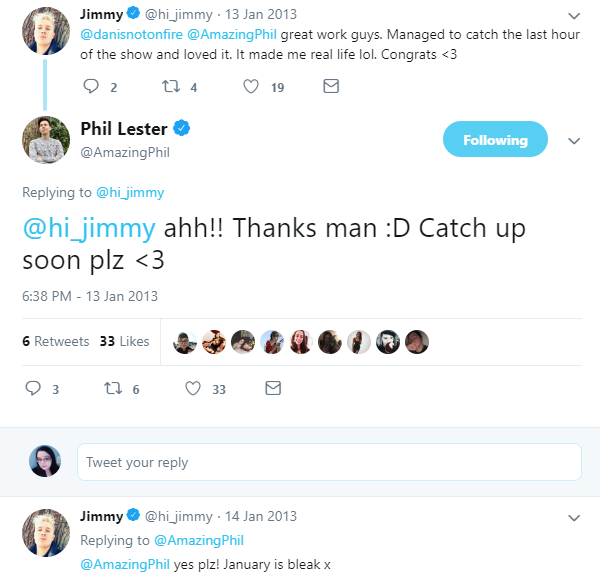 He still does youtube in addition to his career as a radio host/presenter with Capital Radio and 4Music, respectively. 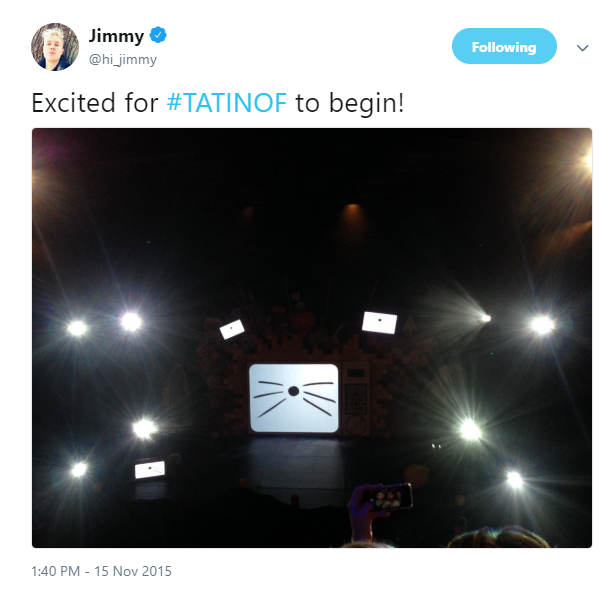 Between 2015-2016 he cohosted the now defunct daily Youtube show called [Cereal Time] with Charlie McDonnell. 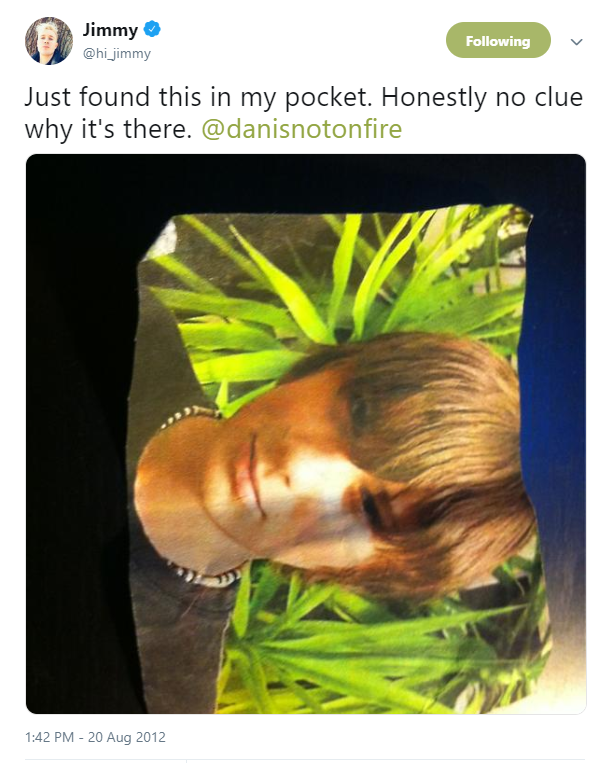 He currently has podcast with his best friend Chels called [The Ghost Museum] (formerly The Slab). 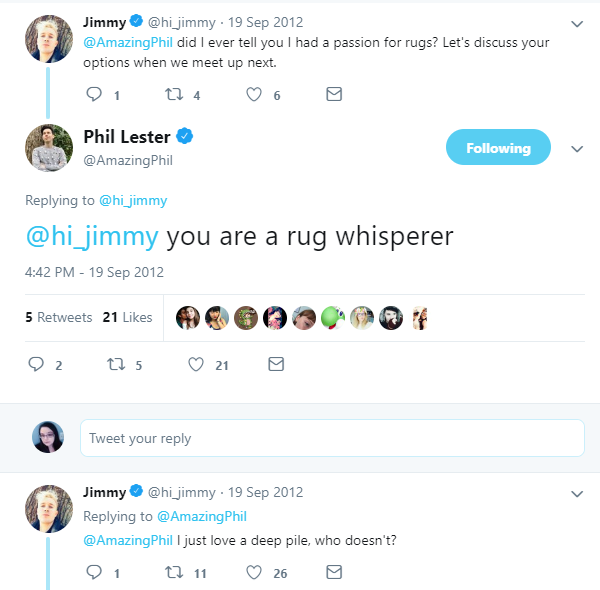 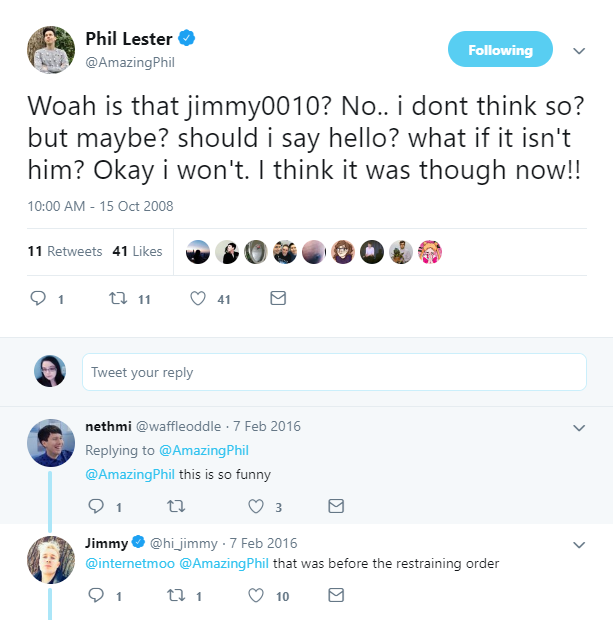 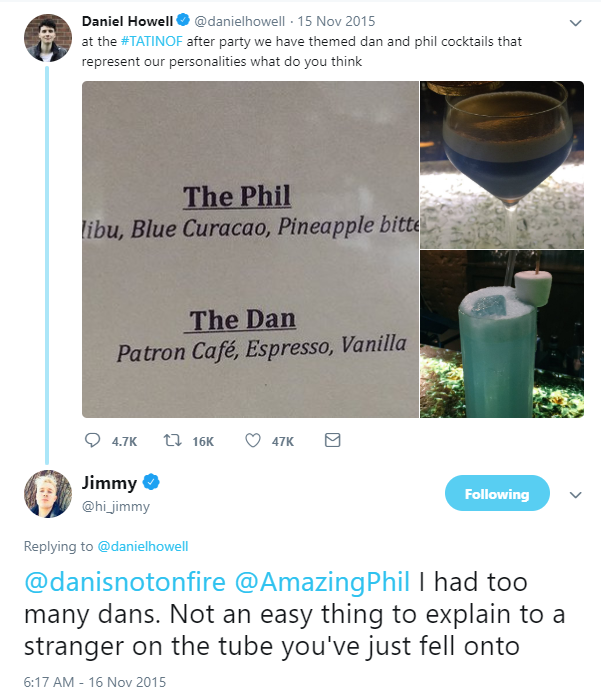 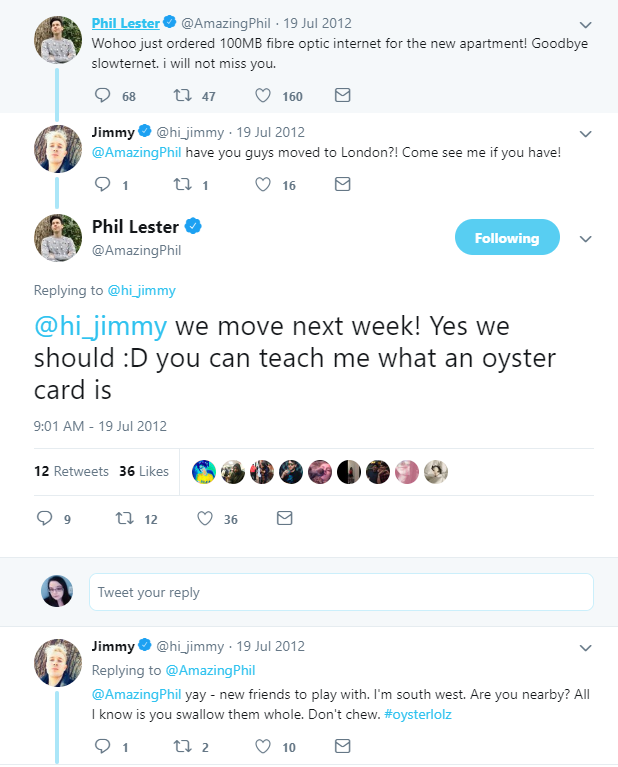 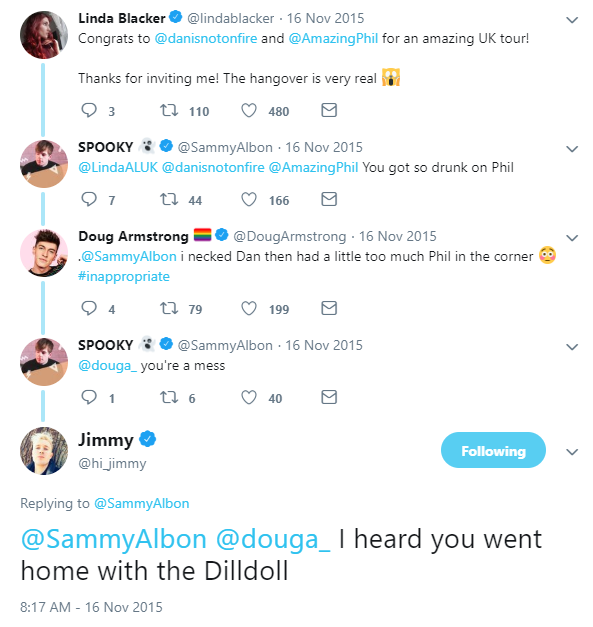 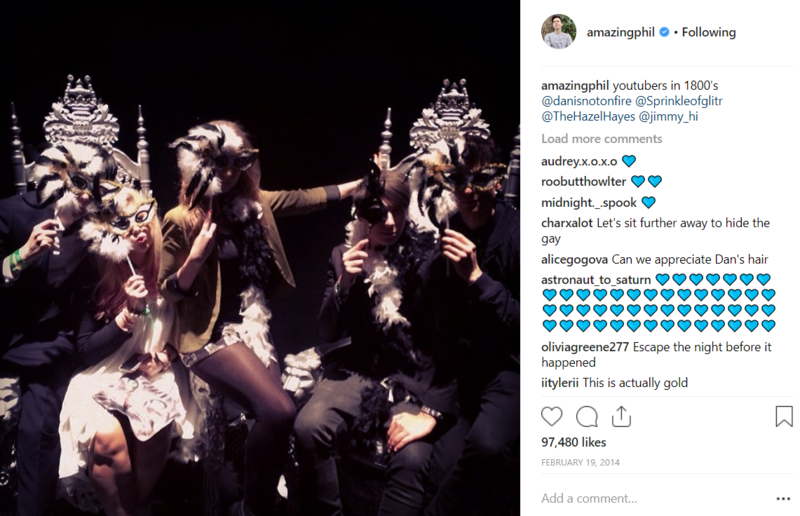 In recent liveshows, Jimmy is very expressive in his admiration for Dan and Phil but the extent of their interactions circa 2018 seem to be a consistent exchange of likes on instagram posts. 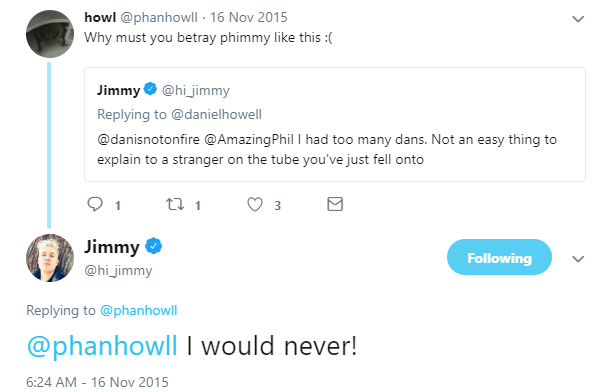 Ah well - phimmy will live forever in our hearts.